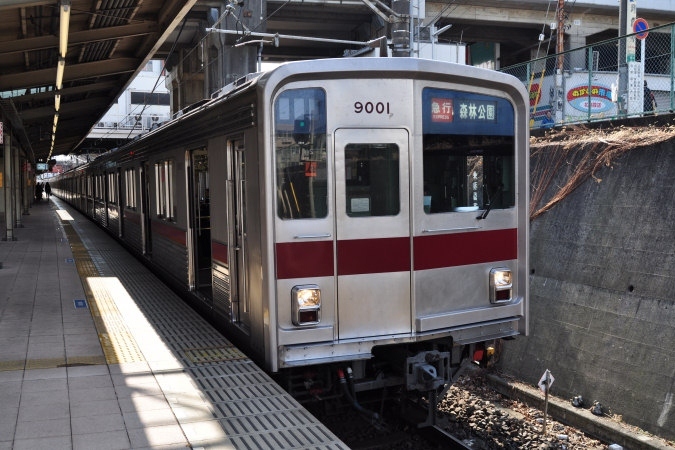 The 9000 Series is a four-door, commuter-type electric multiple unit designed by Tobu for use on the Tojo Line with direct service through to the Yurakucho Line. When the first 9000 Series proto-type was rolled out of the factory in 1981, it was the only stainless steel train in Tobu's fleet and also the only one to use chopper control instead of rheostatic drive. The next batch of trains wasn't built until 1987, which is when the Tojo Line and Yurakucho Line were connected. Some changes were made to the design including fewer pantographs per formation and a switch from RCT to GTO thyristor elements.The last of these trains built in 1991, 9108F, abandoned the corrugated side panels and instead adopted beaded panels. In 1994, Tobu introduced a modified version known as the 9050 Series. These trains kept the beaded side panels used on 9108F but use a variable frequency drive with a GTO element instead of chopper control. Bolster-less bogies were also adopted on the 9050 Series. 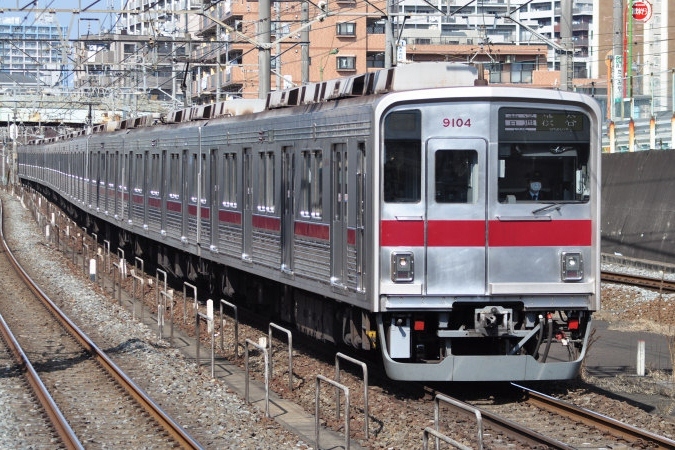 All trains other than the prototype (9101F) have been modified to operate on the Tokyo Metro Fukutoshin Line. These modifications include the addition of Automatic Train Operation (ATO) equipment and also new destination indicators.